[Michigan congressman Justin] Amash understands why other [congressional] members aren’t eager to follow his lead. Continually explaining [on Facebook why he voted the way he did] is time-consuming. … Afterward, some Republicans anonymously griped to Politico that Amash was a “child” with a big soap box and little experience legislating. … “I think there is a lot of fear among people who have been here for a long time,” Amash says, “that those of us from the new generation who are very transparent and open are a threat to the way things have worked.” Justin Amash Wants to Show You Everything, Bloomberg Businessweek, Sep 23, 2013. It was a simple concept. Just report the monthly project status as it was — warts and all. It made reporting simple and only took me 20 minutes to update my status slides. The other teams were spending weeks calling internal meetings, vetting powerpoint slides and trying to quickly change reality by making new plans and reorganizing. The project ultimately completed nine months late and was of questionable quality. I was considered naive and clearly inexperienced because of my approach to reporting on what was clearly a failing project. In one case when one of my team managers saw that I had listed a problem that was still causing us issues, he asked me to change the problem to something else. He didn’t care what it would be, and he would support whatever I said, but we had already mentioned the problem in the last status and so we needed a new one for this status. This is the way it is done. Never repeat the same problem. Make up a new one if needed he said. The lesson is pretty simple. When we go about changing things, hopefully for the better, it is very common for many people to resist the change. Note, that making changes is often time not resisted, because a lot of changes really accomplish very little. It is when we make real changes, that can have a real impact, that we go up against the ingrained and protective habits that have become cemented in the organization. So when people push back and start telling us (or we hear about it in a roundabout way) that we are naive or we don’t understand and are doing it all wrong, then that is a good indicator that we are finally making a real change that gets to the root cause of the problem. This is the time to hang on and to suffer the slings and arrows of resistance. This is the cost of truly improving things for the better. In our case our brutally honest reporting (and planning) eventually resulted in on time with good quality projects, in organizations that rarely delivered projects on time. Many people were still unhappy, because being successful when these people said we were doing it all wrong didn’t make them look real good. However, this is the personal cost of effective improvements and if being called a “child” is one of the consequences, then we can be happy while educating our elders in how to finally achieve what they’ve been striving for all these years. What are the typical kinds of actions you see from those opposing the improvements you are making and how do you handle them? @BruceWBenson They haven’t gotten anything done for years now, so would you want to manage projects in that manner? 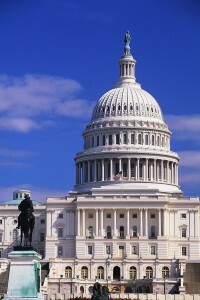 @DavidWLocke The encouraging news here is we are getting a new generation of congressmen. @BruceWBenson I do realize that the ideological institutions are running their campaigns well. Otherwise, we wouldn’t be in this hole.